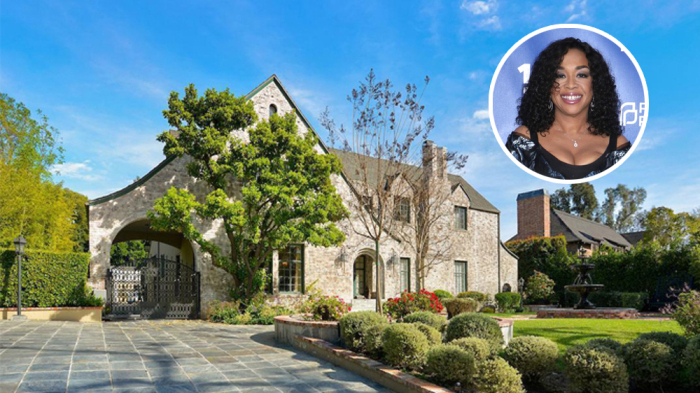 Television mega-producer and screenwriter Shonda Rhimes has listed her longtime estate in Hancock Park, but her setting will remain rooted in the historic L.A. neighborhood. Rhimes is seeking $9.995 million for the 1920s traditional that she has called home since 2010. The move comes roughly a year after the Hollywood force bought another home in the area for $4.6 million. The nearly 8,300-square-foot house sits up from the street on a half-acre lot and features hedges and mature sycamore and elm trees off the front. Beyond the formal entry, the main house includes scaled formal rooms, a library and chef’s kitchen that opens to the den. Two bathrooms, two walk-in closets and a sitting room/office constitute the master suite. Another bedroom, formerly another office, is where Rhimes penned screenplays for many of her hit shows. There are six bedrooms and nine bathrooms in all. Outside, there’s a swimming pool, lawn and a detached pool cabana. The home’s square footage includes the cabana. Who’s Responsible for Prior Mortgage Payment? Could Reverse Mortgage Solve Financial Trouble?